Freelance writer - marketing communications and e-learning courses. 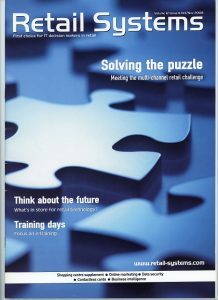 These two articles on retail technology were written for Retail Systems magazine. In a tightening economy, any retail technology that can give retailers a competitive advantage is worth looking a look. And business intelligence software is one tool that can help retailers gain an edge over their rivals. This article looks at different ways that retailers can help prevent customer-not-present fraud. How retailers are implementing the GS1 Data Bar barcode on their products. Ergonomics could help improve employee productivity, reduce the amount of sick days staff take and improve customer service. Copyright © 2019 Theme: HelloPro from brandiD. Writing: Sara Edlington. All rights reserved.